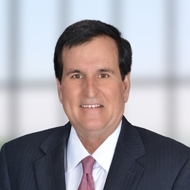 Ken Walter is a Senior Vice President with Fults Commercial’s Dallas office and leased over 5 million square feet of office space in the D/FW Metroplex and every major metropolitan area throughout the country. His most notable transactions include CIGNA’s new 204,000 SF campus in Plano along with their 140,000 SF national call center in Denison, TX; Laser Tech Color’s national headquarters at the Dallas Communications Complex (55,000 SF); Protection One’s national headquarters in Las Colinas (65,000 SF); Intactix International’s US headquarters also in Las Colinas (38,000 SF); Chancellor Media’s national headquarters in Uptown (50,000 SF); Highland Capital’s Corporate offices in North Dallas (33,000 SF); Household Finance’s regional service center in Lewisville (72,000 SF), Nolato AB’s US manufacturing operations in Ft. Worth (136,000 SF); and Vertis International’s corporate offices at Chicago’s eport (55,000 SF). He completed the west coast regional corporate offices for OCE’ Printing Systems in Irvine, CA and their east coast headquarters located in Midtown Manhattan (17,700 SF). Ken is a past member of the New York Mercantile Exchange and served on the Petroleum Advisory Committee during his tenure there. Formerly, he was Senior Direct with CASE Commercial, Tenant Representation Services, President of Benchmark International, a commodity brokerage firm, and Senior Dealer with Development Bank of Singapore. Born and raised in Abilene, Texas; Ken earned a BA in Accounting from Texas Tech and a MBA in Finance from George Washington University. Ken is a marathon runner and cyclist.